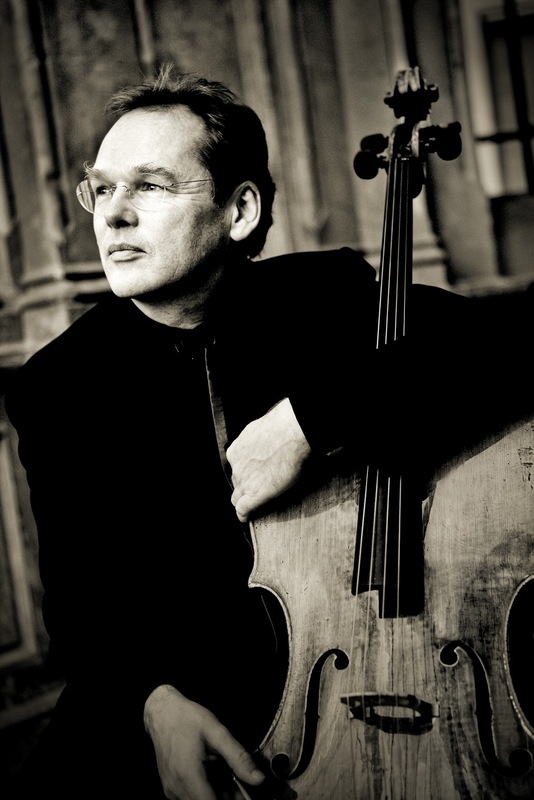 The outstanding German cellist Christoph Richter visits Penzance on Saturday 8th December for an afternoon concert of J.S. Bach’s Suites for solo cello, accompanied by music presenter Richard Wigmore. Christoph Richter is now one of Europe’s most sought after chamber musicians, but it was his close collaboration with Sandor Végh and many visits to the International Musicians Seminars at Prussia Cove which fuelled Richter’s passion for chamber music and the music of Bach. Amongst his many concerts this season, including appearances at Wigmore Hall, Rotterdam, Luxemburg, Brussels, Bonn, Cologne, and Salzburg Festival, Christoph presents a series of all six of Bach’s cello suites at London’s Kings Place concert hall. In Penzance Christoph Richter performs the first and last of the set, in G major and E flat major. He is joined on stage by the distinguished music writer, broadcaster and lecturer Richard Wigmore, whose articles regularly feature in The Daily Telegraph, BBC Music Magazine and The Gramophone, as well as regular broadcasts on BBC’s Radio 3 and World Service. Together they look behind the scenes at Bach the man, the life he lived and the hidden clues that might help us appreciate his music even more. Bach’s Suites for Solo Cello: An Insider’s View starts at 3pm at St. John’s Hall. Tea and freshly baked home-made mince pies will be available in the interval. Tickets cost £10 or £2 for under 19s and are available on the door or in advance, as usual, from West Penwith Music, Union Street, Penzance 01736 364440 and Mounts Bay Wine, Bread Street, Penzance 01736 364118.